Do you want to keep your home cool without paying extortionate amounts of money on your energy bills? Ready to upgrade your older, less efficient system for a new model? Ozono Air can help you find the right model air conditioner for your home! With over a decade of HVAC experience, our Orlando air conditioning installation technicians are ready to provide the assistance you need. 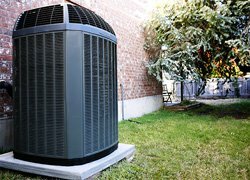 Why install new A/C unit? If you are ready to enjoy an effective, energy efficient air conditioning system, contact us today at (407) 240-1199 to receive a free installation estimate.